Anna University had postponed the exam from Nov 16 to Nov 18 due to heavy rainfall over Tamil Nadu. Informed in jaya plus news and e-dinamalar news paper. 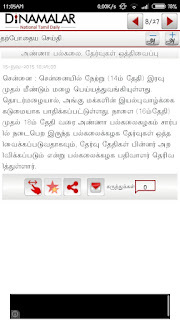 UPDATED: Anna university site also updated about the postponed of exams. The postponed exams schedule will be announced by Monday in university site.